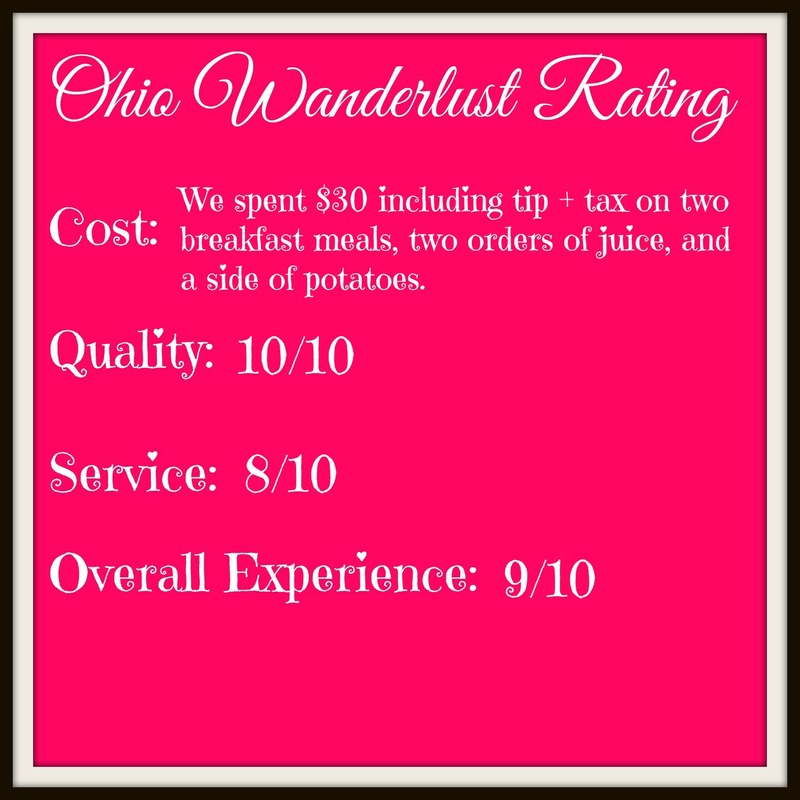 When I first started this blog I envisioned it including a large amount of Ohio posts, with some "road trip" posts sprinkled throughout to help break things up. Ohioans don't just stay in Ohio! My youngest brother is currently in college about half an hour outside Pittsburgh, so we travel there frequently. One of our favorite locations when we visit Pittsburgh is P & G's Pamela's Diner on Forbes Avenue. There are six other Pamela's locations throughout Pittsburgh. One very important thing to remember is that these restaurants are cash only. I ordered a side of the "Famous Lyonnaise Potatoes" to supplement my breakfast. I don't know why we never just get two orders, Dave and I always fight over the one side of these. Traditional lyonnaise potatoes are pan fried with onions and butter -- seriously scrumptious. I also ordered the Croissant French Toast which is topped with caramel and nuts. These are so light and fluffy. You can discern the flaky layers of the croissants and the caramel topping is wonderful. I clean my plate every time I order this french toast. Dave ordered the special which was caramel apple pancakes. These also included walnuts along with whipped cream. Dave thought this was very sweet, but tasty. He said he probably would have ordered something different if I hadn't directed him towards the special, but it was still delicious. Pamela's Diner is incredibly popular in Pittsburgh -- be prepared to wait! We arrived around 10 a.m. on a Sunday and waited over an hour for our table. The nice thing is that Pamela's writes down your phone number and texts you when your table is available. An hour didn't feel like such a long time since we were able to walk around the Oakland area, rather than standing in front of the diner. 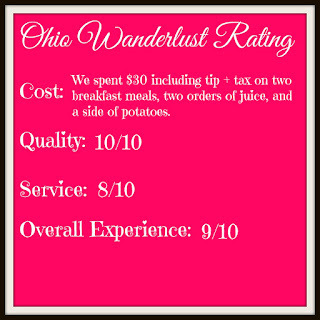 We've been here several times and have never been disappointed. Although Pamela's is always packed the service is still good and the food is high quality. My brother and his girlfriend both ordered pancakes as well (the chocolate chip banana and the strawberry hotcakes) and all four of us left stuffed. Make sure to stop by a Pamela's location on your next trip to Pittsburgh!